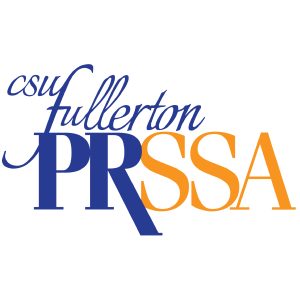 California State University, Fullerton‘s Public Relations Student Society of America (PRSSA) Chapter leads the pre-professional organization for students to jump-start their careers in communications, public relations, social media, and marketing. As one of the largest international chapters, CSUF is the highest demand organization for students to join. Our mission is to expose members to all facets and intricacies of the communications profession by providing speaker events, career tours, mixers, conferences and more. CSUF also offers a student-run public relations firm that exposes students to real-world opportunities such as social media management, red carpets, and writing. PRSSA easily transitions members to the professional organization after graduation. Founded by Robert E. Rayfield in 1968, CSUF PRSSA today fosters nearly 250 members and continues to grow year-over-year.